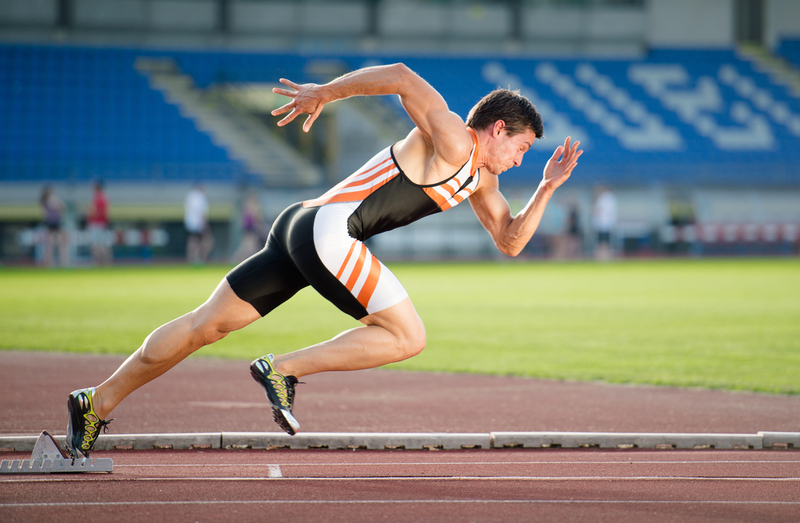 It takes time to rank for high volume, high competition keywords. Related long tail keywords are often easier to rank for and cumulatively can drive a significant amount of targeted traffic to your site. 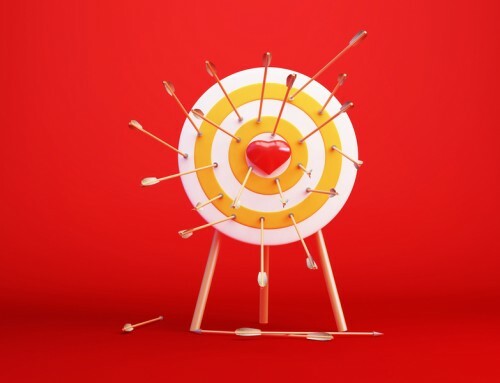 But how do you know if your content marketing strategy is successful? 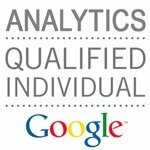 Most queries are categorized as “not provided” in Google Analytics. 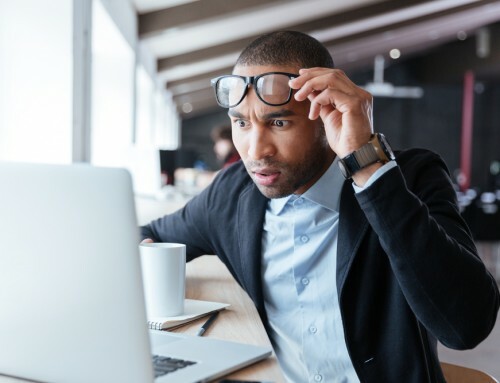 This makes it difficult to tell how much your content marketing strategy is contributing toward your goal of growing targeted, organic traffic. Additionally, you may be creating content on a variety of topics for your site. 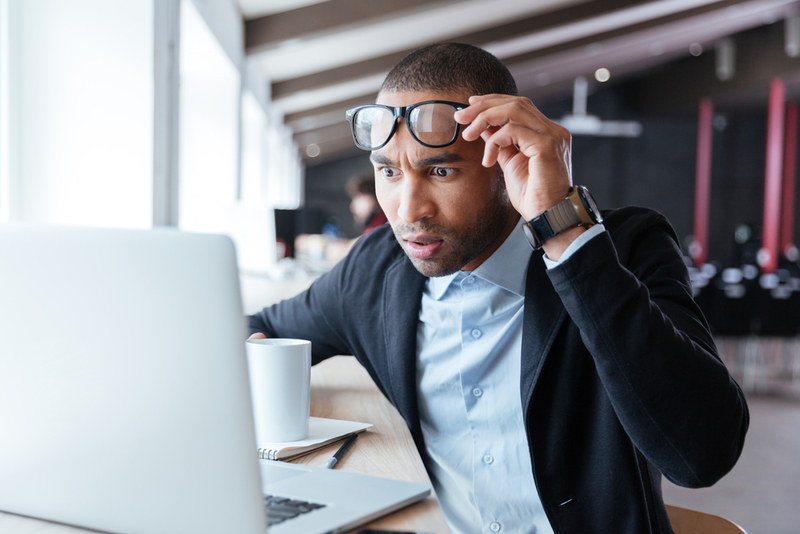 What if your boss or client asks you to validate the annual content marketing spend? No worries – here’s a straightforward method to estimate the contribution of long tail keywords. Increase search engine rankings. 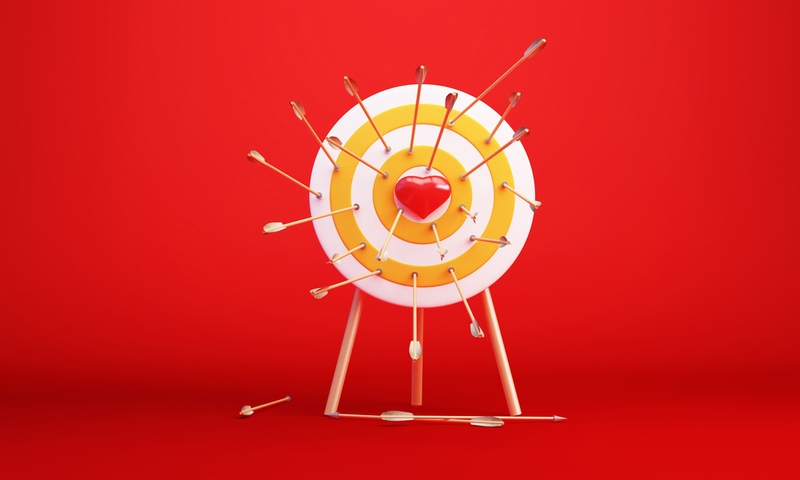 Attract a targeted audience. Call us at (443) 475-0787 or Contact Us online. Step 1: Divide your content into general keyword “buckets”. It may be helpful to label the tabs of your spreadsheet with the names of each “bucket”. Step 2: Examine your website content and create a list of “bucket landing pages” (pages that are contextually relevant to each broad topic or “bucket”). If your topic “buckets” are closely related, this can be a bit subjective. Just use your best judgement. 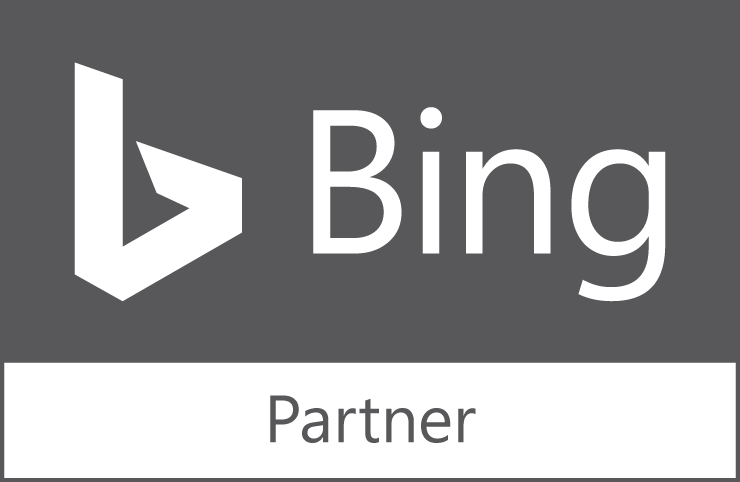 Step 3: Record the number of organic sessions associated with each “bucket landing page”. Using Google Analytics, segment by organic traffic, and select behavior > site content > landing pages. You can add part of the URL slug to the righthand sort box to find the data faster. 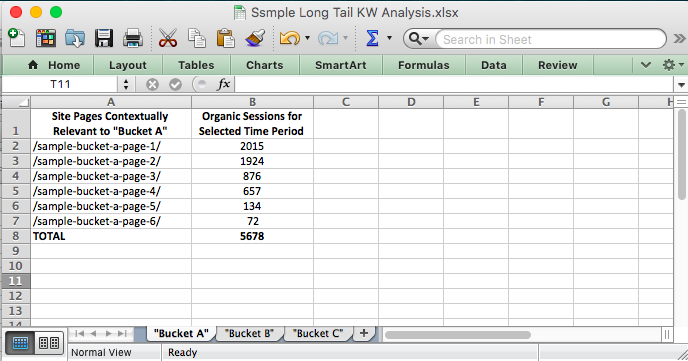 Step 4: Total the organic sessions associated with each “bucket” (for the time period you’ve selected). Step 5: Find the long tail keywords that are driving traffic to your “bucket landing pages”. In SEMRush, using the advanced filters in domain analytics > organic search > positions to generate a list of terms relevant to your “bucket”. Be sure to also use the filter to exclude terms that are: branded, ranking higher than position 20, have search volume lower than 20, or are made up of fewer than 3 words. Export this list into Excel and sort it by position. Delete any terms ranking in positions 11-20 except those over a particular volume threshold (again, this is somewhat subjective – you’re trying to determine which terms are driving the most traffic to your site). Re-sort the list by position (smallest-to-largest) and save just three columns: keyword, position, and search volume. Step 6: Estimate the contribution of each long tail keyword. Let’s say your site is ranking in position 4 for a long tail keyword with an average monthly search volume of 900. To estimate the number of organic sessions this keyword is driving to your site we need to apply a click-through-rate (at periscopeUP, we use CTR estimates from Advanced Web Ranking’s CTR study, as reported by Barry Schwartz). Applying the study’s CTR to our example, if your site is ranking in position 4 for a keyword with an average monthly search volume of 900, you can estimate this keyword is driving approximately 63 monthly organic sessions to your site (900*6.97%). 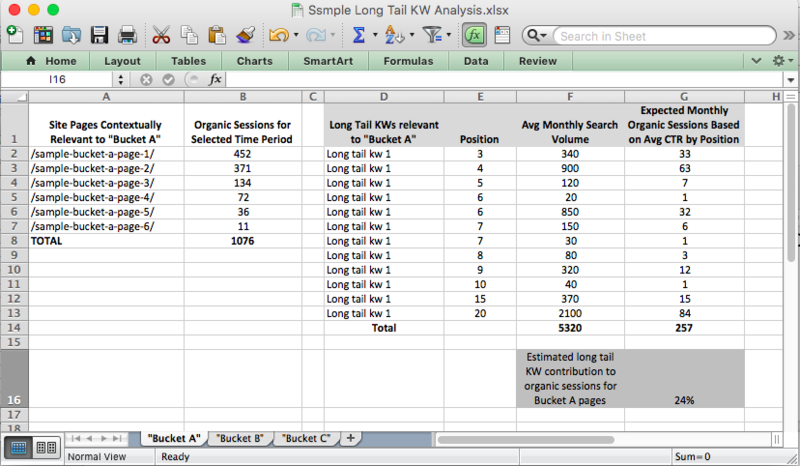 Step 7: For each “bucket”, total the contributions of the long tail keywords and compare to your total organic sessions. 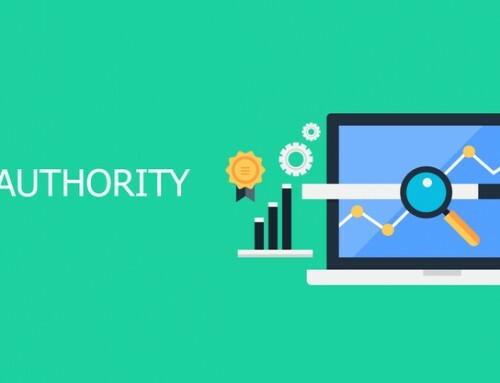 Let’s say your site is getting 8,000 organic sessions each month to group of pages relevant to Topic A, and you estimate that Topic A relevant long tail keywords are driving 6,000 monthly organic sessions to your site. Then, you can estimate that long tail keywords are contributing 75% of the organic sessions for this “bucket” or topic. Quality content marketing is nearly always a solid investment, but it can take time to see the return. 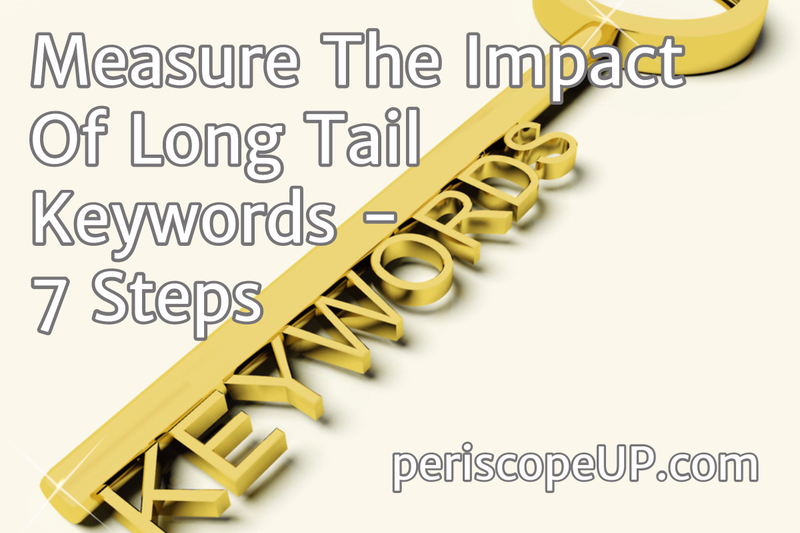 Stay on track by estimating the long tail keyword contribution over time. If you’re consistently creating quality, relevant content, your site should start ranking for long tail keywords related to your topic(s). 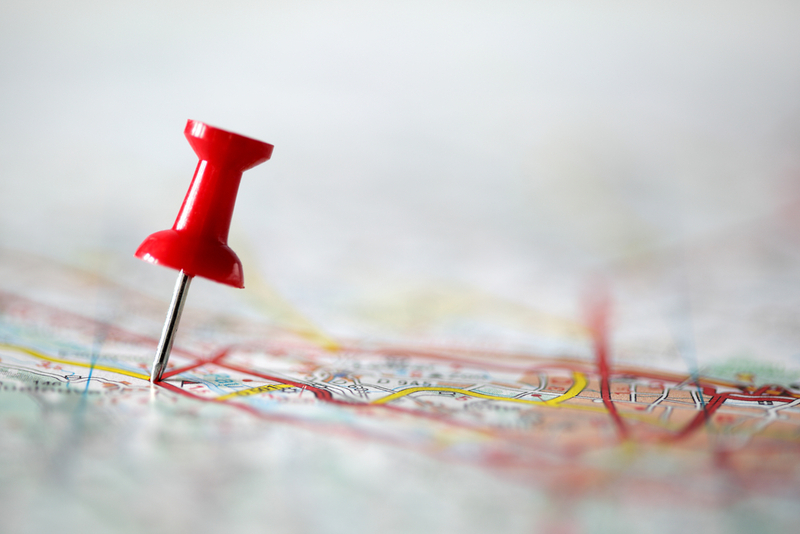 If these keywords closely match search intent, they will start to drive traffic to your site. Over time, as your content work matures, long tail keywords will likely be responsible for a larger percentage of your site’s organic sessions. Measure the contribution of long tail keywords, and validate your content marketing strategy. Call periscopeUP today at (443) 475-0787 or Contact Us online. Project Manager and Digital Strategist. 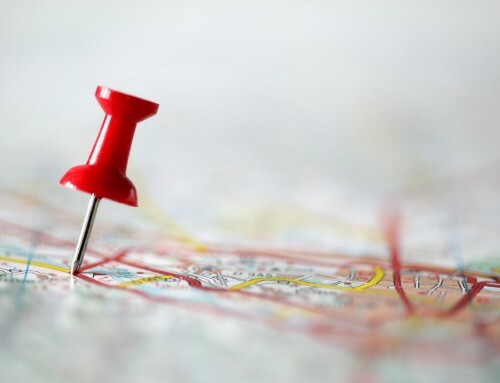 Writes about SEO, local search, Google Analytics, marketing analysis and optimization. Enjoys spending time with her family, running, traveling and cooking for a crowd.